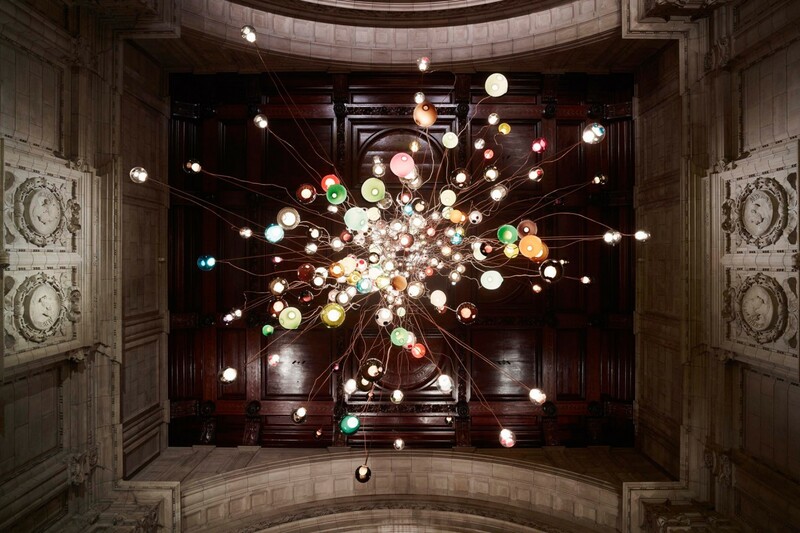 As part of the London Design Festival, we presented a massive, custom 28.280 chandelier in the main atrium of the museum. 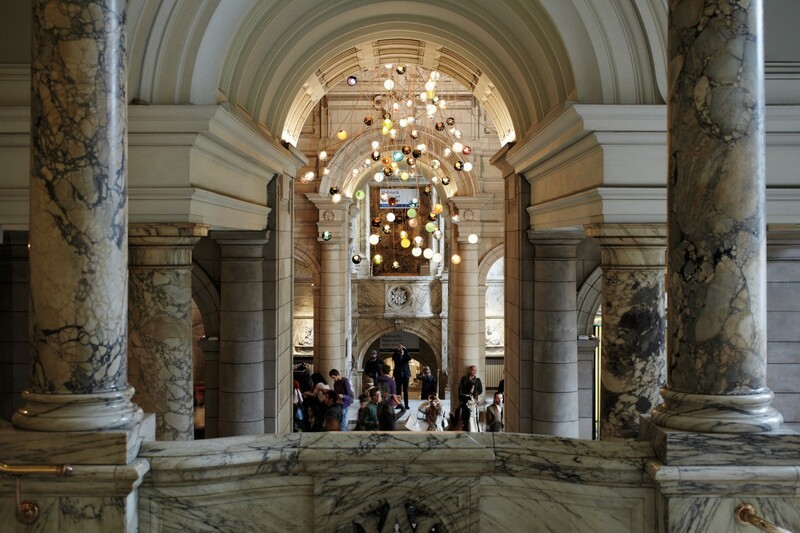 The installation, featuring the celebrated 28, descended through the large existing void cutting through the entire length of the V&A Building, with an astonishing height of more than 30 metres. 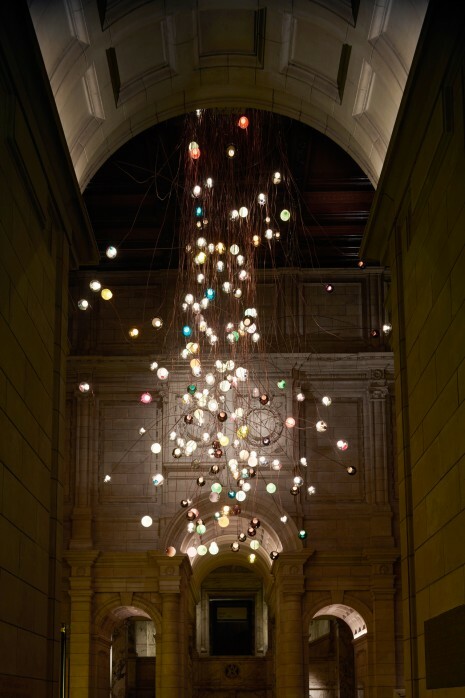 The intent of the installation was twofold; on the one hand, it was a pure celebration of the monumental open height of the building, which uses light to crystallize a powerful phenomenological experience for the viewer. On the other hand it was the most ambitious exploration to date of a novel glass blowing technique. 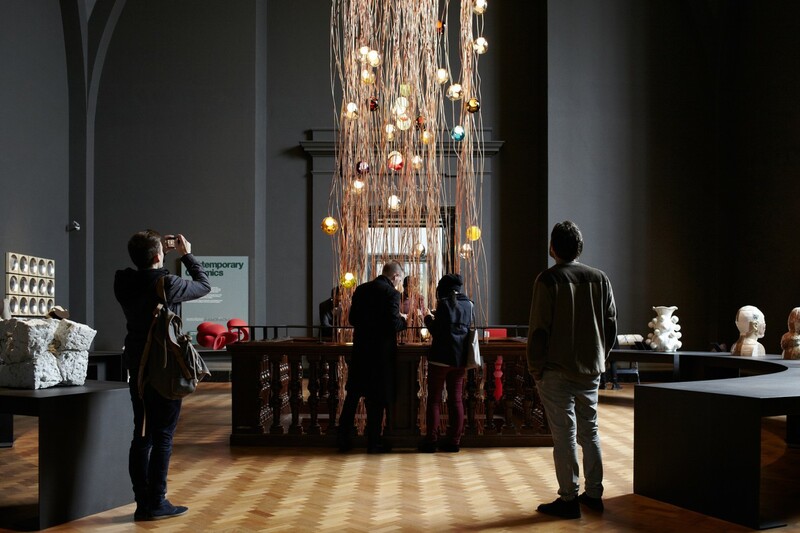 280 of the 28 pendants hung within a 30 metre vertical drop, suspended by a novel, perhaps awkward and heavy copper suspension system, that had as much presence or more than the glass it supports. The installation continued our research into the process of making, and stands testament to Arbel’s remarkable journey as an articulator of form. 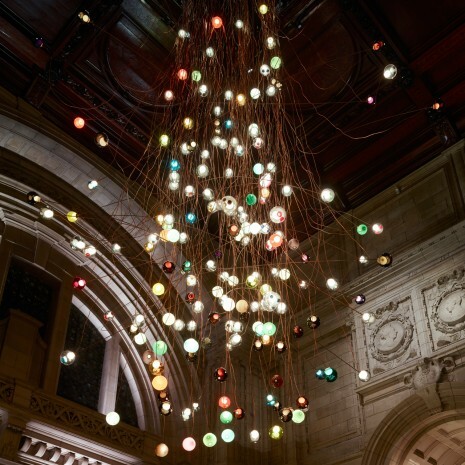 The installation was showcased at the V&A main hall from September 9–22, 2013.